The Hobbit. The one that started it all! 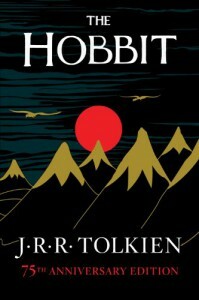 The Hobbit is still my very favourite of all the Tolkien I have read (which includes The Silmarillion and The Lord of the Rings). I'm not too sure if maybe this is because it was written for/told to his kids and so is primarily more of a children's fantasy story than Lord of the Rings is, or if it is just because it is a perfect fantasy adventure no matter your age. I am only sorry that it took me so long to reread it, which only reminded me how much I enjoyed it the first time and found that I enjoyed it even more the second time around. This is one that will definitely be brought out again and again.